This Squadron 50 is a head-turner with her steel-blue hull and acres of black glass windows. 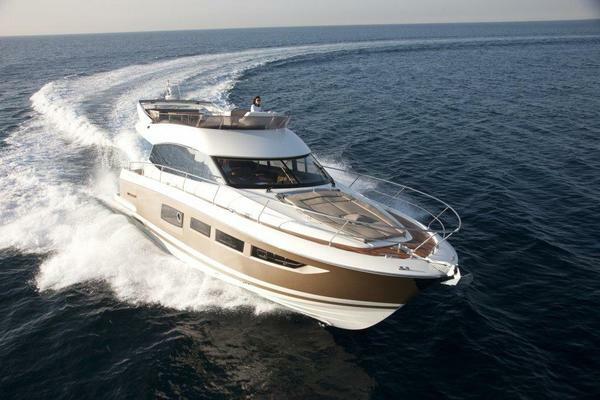 This flybridge yacht doesn’t feel like a flybridge, more like a large luxurious lounge open to the sky yacht. 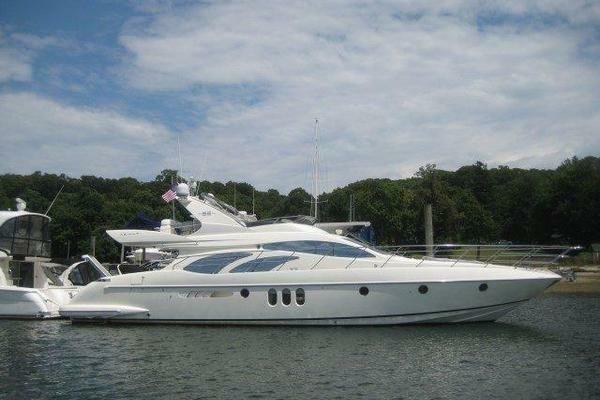 Powered by twin CAT C12-710 710 hp wich push this preowned yacht up to 31 knots in flat seas. This used Fairline Squadron 50 for sale is pristine and perfect for cruising the Bahamas and the Florida Keys. To achieve the seemingly impossible, we simply had to rewrite the rule book. Bulkheads were moved back, the bow was made beamier, all to create a yacht that has beautifully proportioned rooms, not mere cabins; where the forward master defies its position in the bow with impressively wide dimensions; where the galley is perfectly positioned so you are not tucked away from the action; and a flybridge that doesn’t feel like a flybridge, more like a large luxurious lounge open to the sky.